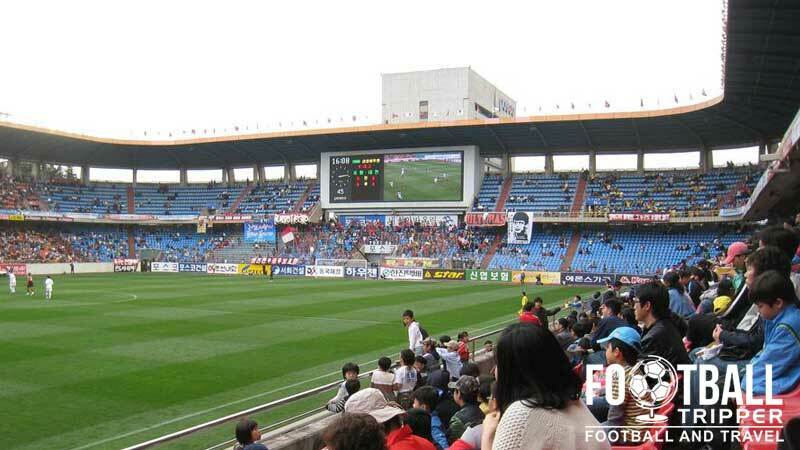 Pohang Steel Yard built in 1990 was the first stadium in South Korea to be built solely as a dedicated Football arena, and today the 25,000 capacity ground is home to the Pohang Steelers who are one of the most successful teams in Asia with three AFC Champions League titles to their name. 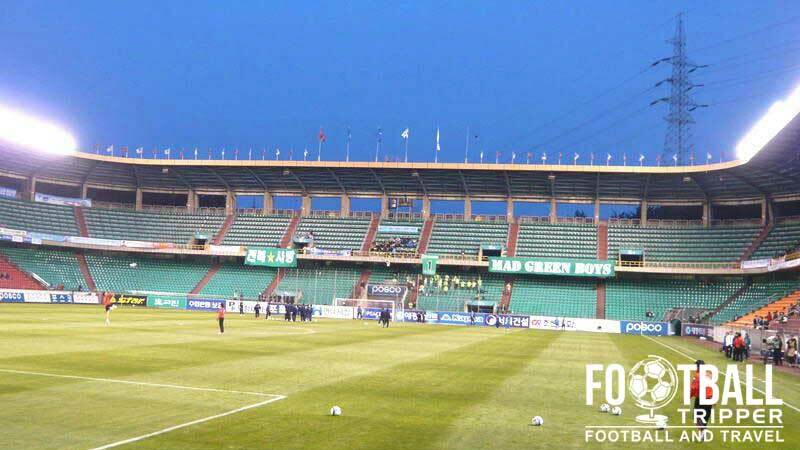 Pohang Steel Yard was inaugurated on the 10th November 1990 with a match between the home side Pohang Steelers and Korea University’s football team. Taking just over two years to construct, the stadium was the brain child of Korean Steel entrepreneur Park Tae-Joon who wanted to create the first ever purpose-built football stadium in the country. With a distance of just 3 metres between the pitch and the stands, the matchday experience of Pohang Steel Yard is on par with stadiums across Europe, particularly those from Germany and England. Deemed too small to host matches of the 2002 World Cup, the 25,000 capacity arena would have been one of the finest venues in the tournament if it had been chosen. With 40,000 generally being the minimum capacity needed to host matches by FIFA, grounds such as Niigata Stadium and Ōita Bank Dome were used however the existence of the running track around the perimeter of the pitch undoubtedly detracted from the intimacy. 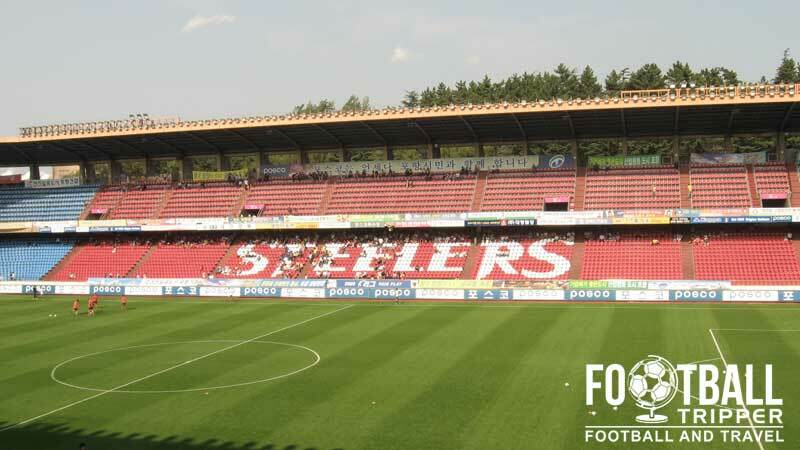 Missing out on state-funded investment for the World Cup, the Pohang Steelers undertook renovation work themselves in 2003. The work brought the quality of the stadium up to the same level as the 10 World Cup Stadiums and resulted in a new playing surface, upgraded changing room facilities, an improved sound system and the installation of a new LCD Screen to act as a scoreboard. The intrusive mesh curtain to contain the ball was removed, and in 2005 colourful plastic seating was added to improve levels of comfort inside the stadium. The construction of the purpose-built football stadium in the 1990s has certainly acted as springboard for the club’s continued success today, essentially allowing the club to steal a march on their rivals. Undoubtedly one of South Korea’s and Asia’s most successful teams, The Steelers have won the AFC Champions League/Asian Club Championship Final three times in total (1997, 1998 and 2009) which is a remarkable achievement. 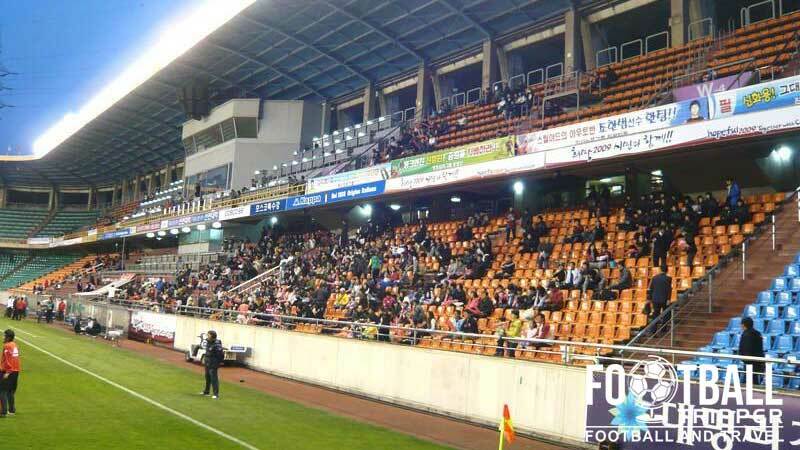 Pohang Steel Yard Stadium consists of the following four stands: North, East, South and West.